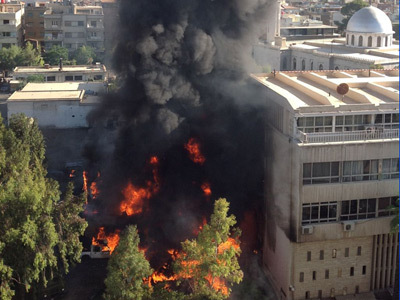 A car bomb has exploded in Damascus, hitting near two ministries. The report comes just hours after a separate blast hit a mosque in northern Damascus, causing casualties to worshipers returning from their Friday prayers. The bomb went off between the buildings of the Ministry of Information and the Ministry of Justice, which are about 100 meters apart in the neighborhood of Mazze, according to Syrian state TV. The blast caused no casualties, but damaged a number of vehicles. Earlier in the day, at least five security personnel were killed when a bomb hit a Mosque in the neighborhood of Rukneddine. 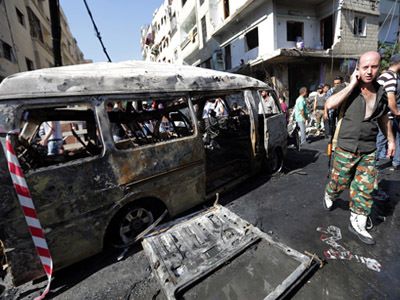 ­"A terrorist attack carried out with a motorcycle loaded with explosives struck the exit of Rukniyeh mosque as worshippers were making their way out," the channel’s report said. Footage from the scene shown by the TV station showed a large area covered with rubble and several cars with their windows shattered by the force of the explosion. 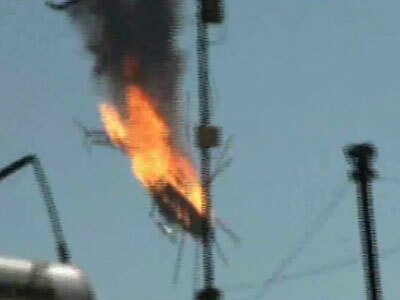 AP cites an unnamed official as saying that at least 10 people were wounded. Some of the victims are in serious condition. The blasts came as opposition activists announced that up to 55 people had been killed in fighting across the country on Friday, as rebels and troops clashed in a southern Damascus neighborhood. 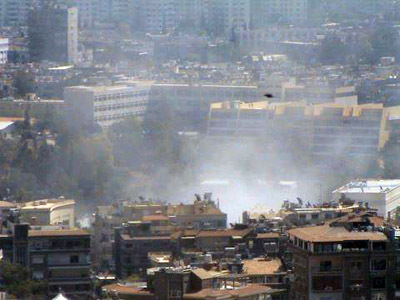 The Syrian capital has been hit with a string of bombings in recent months. 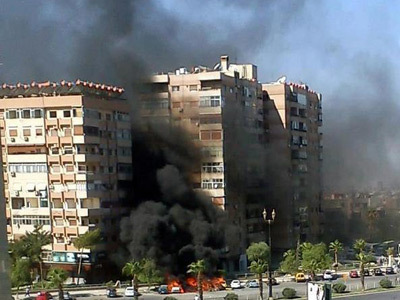 On Sunday, two bombs exploded near the offices of the Syrian military’s joint chiefs of staff, wounding four army officers. The Syrian army has sent several hundred soldiers to Damascus’ Kazaz neighborhood to fight rebel forces there, according to the London-based Syrian Observatory for Human Rights. The area hosts several security agencies.